Cape Town - Eskom has announced the resignation of its suspended chief financial officer (CFO) Anoj Singh on Monday evening. In a statement, the power utility said its newly appointed board has accepted Singh’s resignation. "Eskom has today received, through Mr Anoj Singh’s attorneys, a formal letter of resignation by Mr Singh from his position as the Chief Financial Officer, in line with the terms of his employment contract. "The board of Eskom, through the Chairman, has accepted the resignation and communicated the acceptance through Mr Singh’s attorneys. Mr Singh’s resignation is with immediate effect." Singh was suspended by the power utility in September 2017, after being placed on special leave at the end of July, Fin24 reported. This came following allegations that he was involved in irregularly awarding contracts to Gupta-linked businesses, and also received gifts and trips from the controversial family. His resignation comes a day before he is expected to testify in the Eskom inquiry. 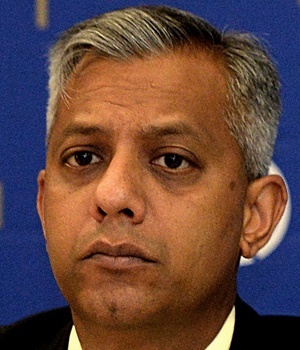 Eskom spokesperson Khulu Phasiwe confirmed to Fin24 that Singh would still testify at the inquiry on Tuesday. Parliament's Portfolio Committee on Public Enterprises is investigating mismanagement of state funds at the power utility. The inquiry was adjourned in the first week of December 2017, when Singh was initially supposed to testify. Singh, however, failed to submit his documents on time, and was criticised by the committee’s chair, Daphne Rantho, for undermining Parliament. According to Rantho, Singh, who had six-months to prepare his documents, submitted a 400-page bundle to the committee at 23:00 the night before he was supposed to appear.